Yes, it’s after Labor Day. And yes, that makes white sort of a fashion faux pas. 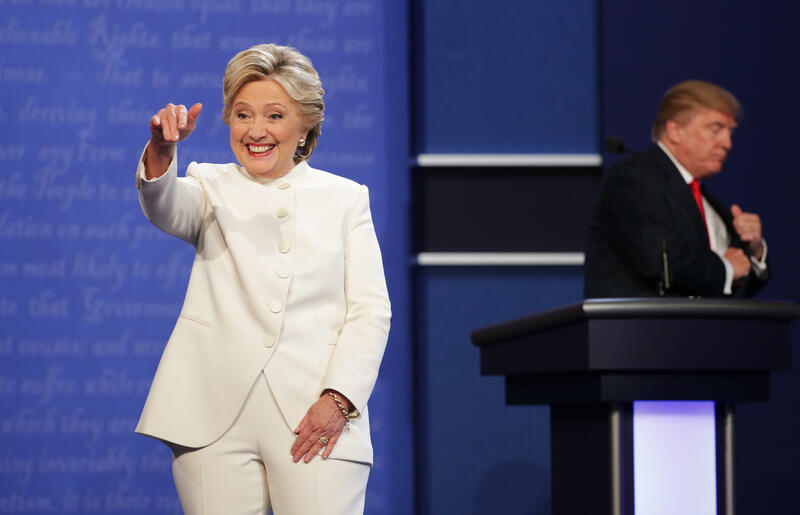 But when Hillary Clinton hit the stage in Vegas for the third and final presidential debate, social media users went genuinely wild for her white Ralph Lauren pantsuit. My girl lookin like a North Korean Nancy Meyers. The outfit inspired pop culture comparisons, memes and humor, the sort of which only the internet can conjure. Here are 10 of the most on point comparisons that came of this social media frenzy.